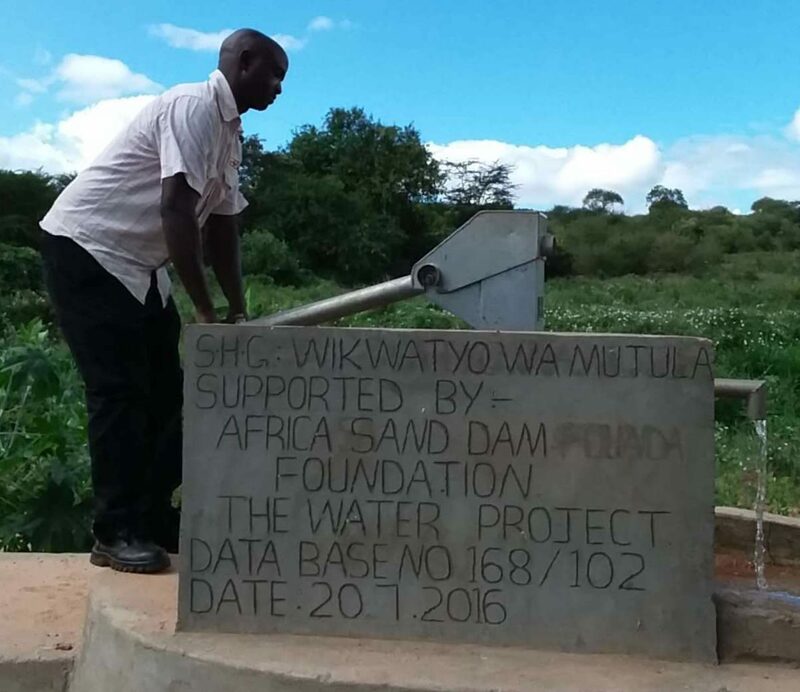 Since this project, life has become very good because the distance to water has decreased to less than one kilometer, and we use our time well. 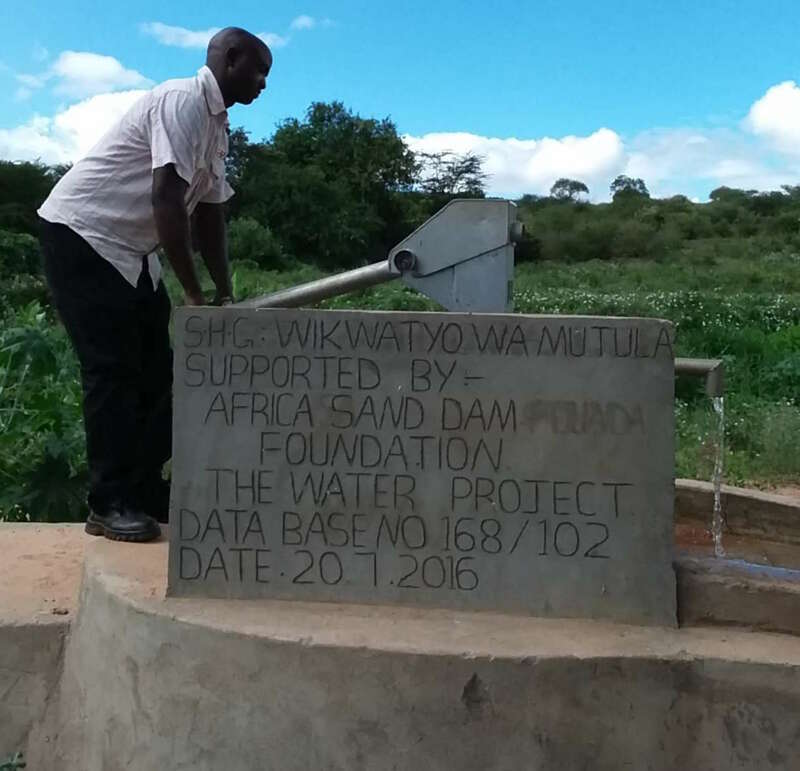 A year ago, generous donors helped build a hand-dug well for the Wikwatyo wa Mutula Self-Help Group in Kenya. Because of these gifts and our monthly donors, partners are able to visit project sites throughout the year, strengthening relationships with communities and evaluating the actual water project. These consistent visits allow us to learn vital lessons and hear amazing stories – we’re excited to share this one from our partner Mutheu Mutune with you. The community has planted fruit trees that are mature and ready to bear fruit. Before the project, the people traveled long distances in search of drinking water, and their livestock would die during these trips, especially during the dry season. 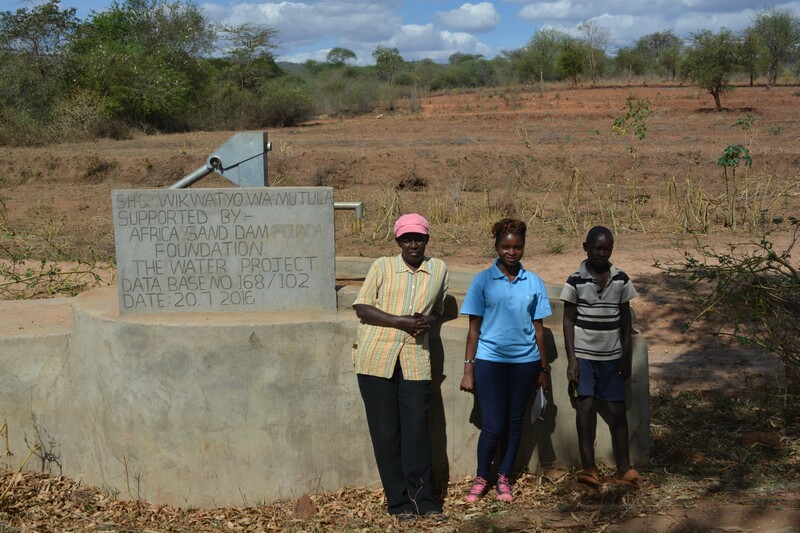 The water provided at this well isn’t only safe for livestock, but it’s safe for the people to drink too. And since they were trained on how to treat water before drinking, less cases of waterborne disease are reported. Field Officer Mutheu Mutune stands between Mrs. Mutuku and Mutuku Kioko to talk about their successes and challenges over the past year. 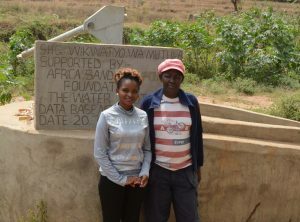 When you invest in The Water Project, you're investing in people like Catherine Mutuku. Your gifts help us reach more communities with the gift of clean, safe water. And every drop helps unlock potential.